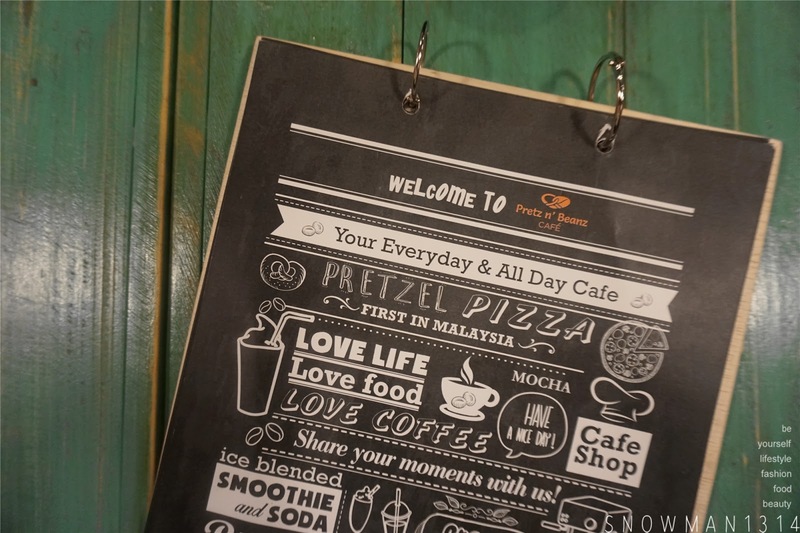 Pretz n' Bean has open a new outlet at Bangsar area. 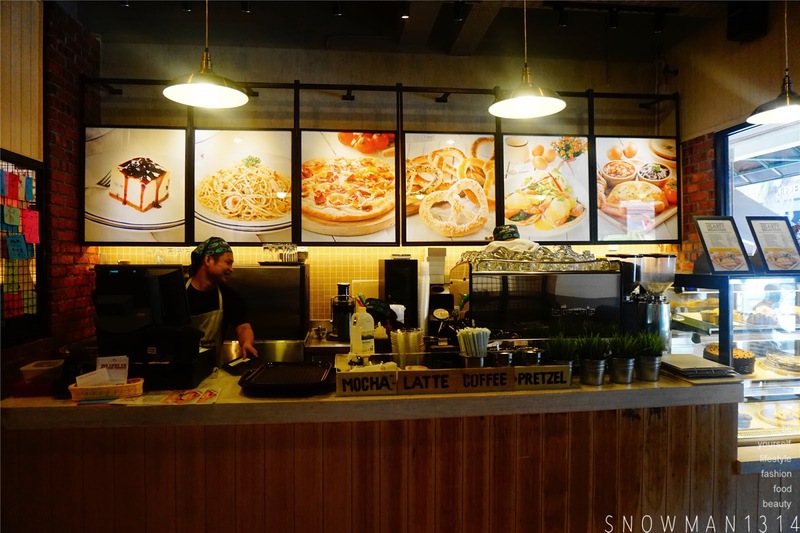 Which I think this was a smart choice because in Bangsar, you can always find all the yummy and nice cafe for a chill out afternoon session. 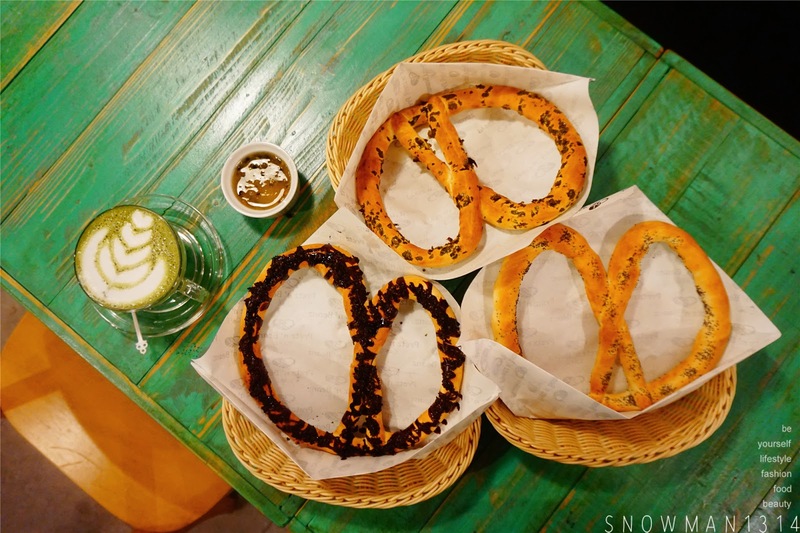 Since Pretz n' Beanz has open a outlet here at Bangsar, it was a good news for all Pretzel lover too! 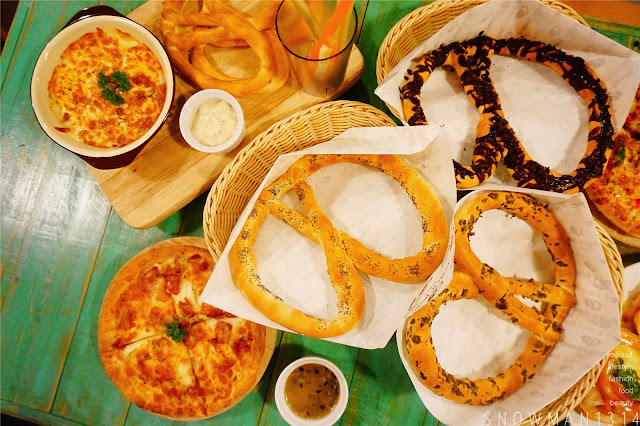 In this new outlet, Pretz n' Bean has come out with few new dishes and they added some fun 3D painting too! 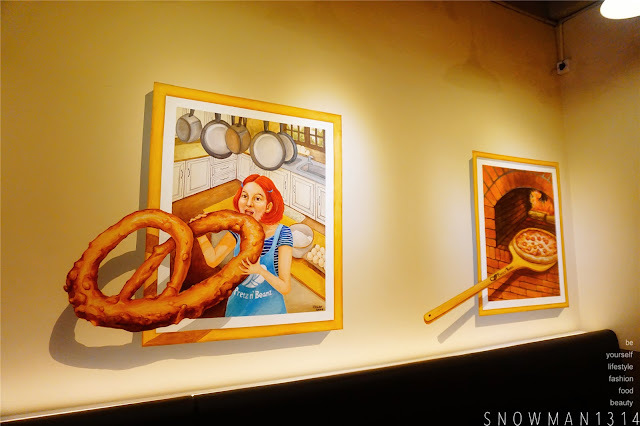 You can take photo and pose with their 3D painting and enjoy your pretzel. 3D painting at Prezt n' Beanz. Interior of Pretz n' Beanz is still as cosy as ever. 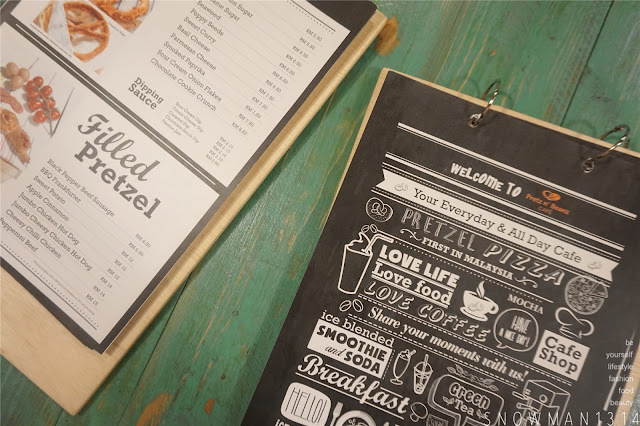 Red Bricks with their signature logo which mark the meaning of Pretzel and Coffee. 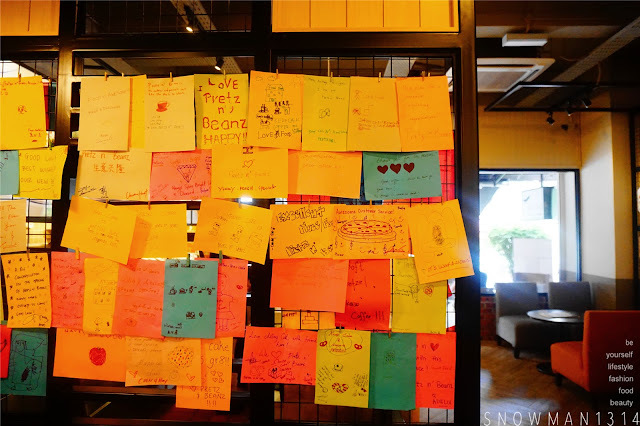 Now they even have this sweet corner to let customer to stick on the sticky notes with all the sweet comment from customer. 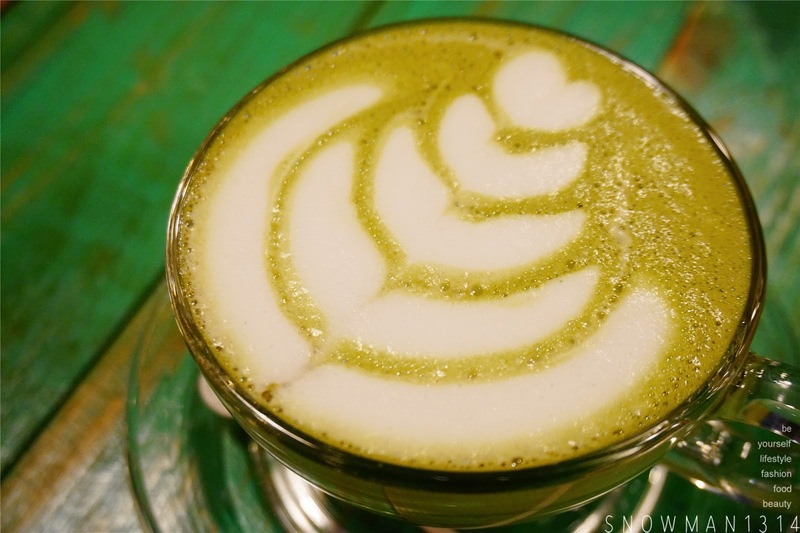 Green Latte always my favorite drink from Pretz n' Beanz. Coffee and Latte of the day. Seriously when they serve this dish out, everyone feel so mouth watering and can't wait to noms this Royale Salmon Egg Benedict. 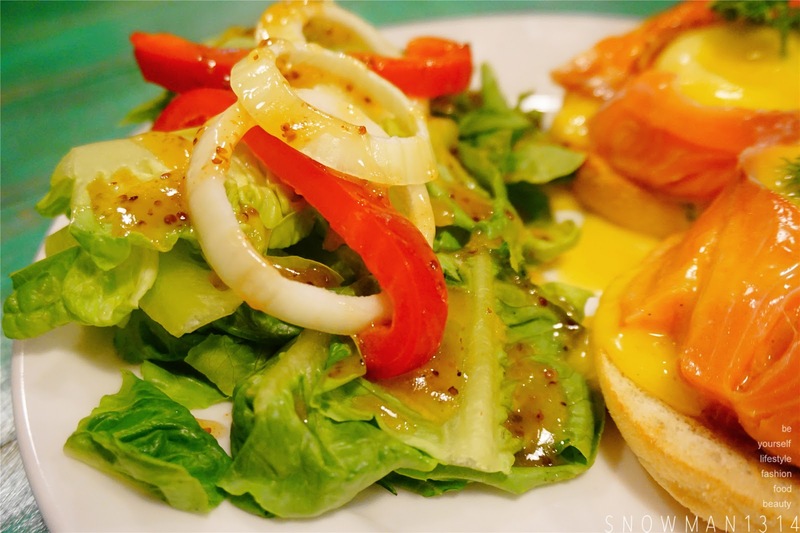 Which you can see the egg yolk is dipping from the salmon and on the toast. I never thought this 2 combination looks so good together and what for when you eat it, it was actually super yummy! 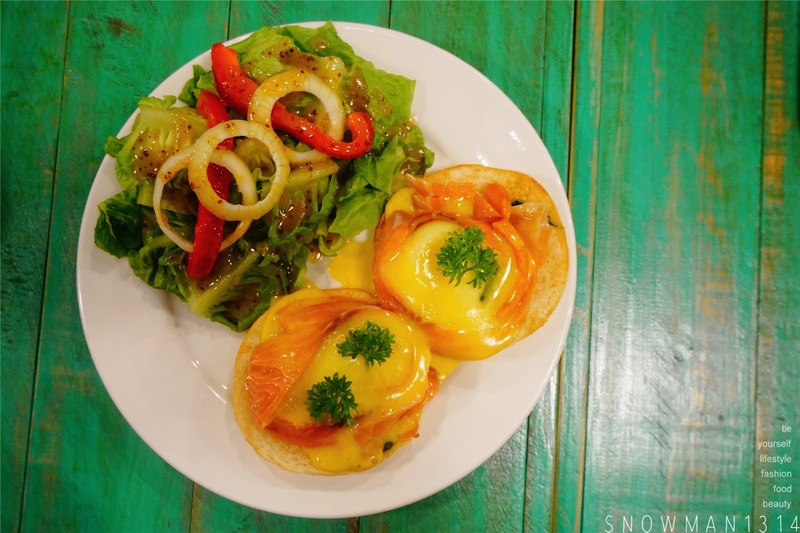 With Fresh Salmon slice, egg yolk and toast, super royale sensation I would say. 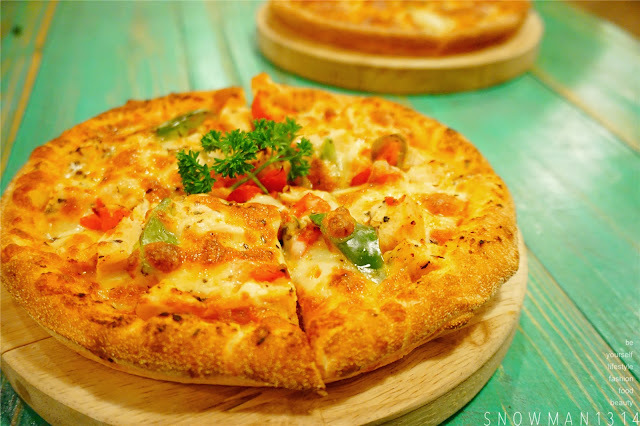 Feeling so hungry in this midnight when I was blogging about this post. 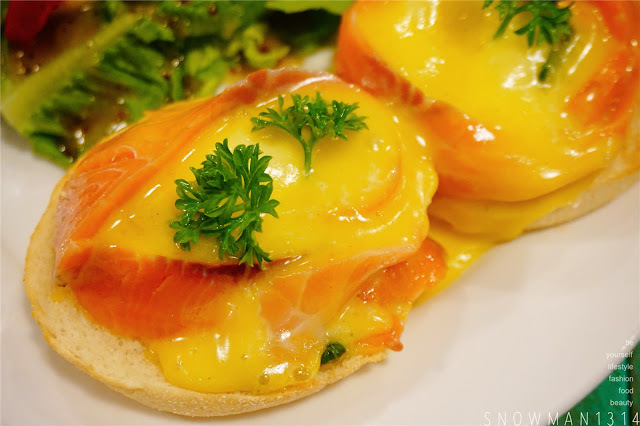 Eggs baked with tomatoes, mushrooms and mozzarella cheese served with Pretzel. 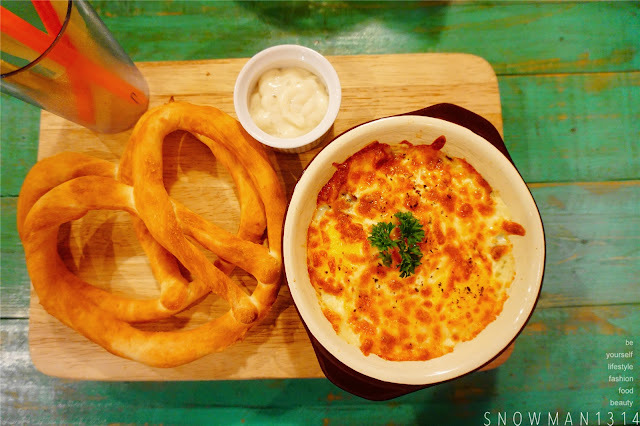 The food at Pretz n' Beanz always got me hook with all their delicious serving. 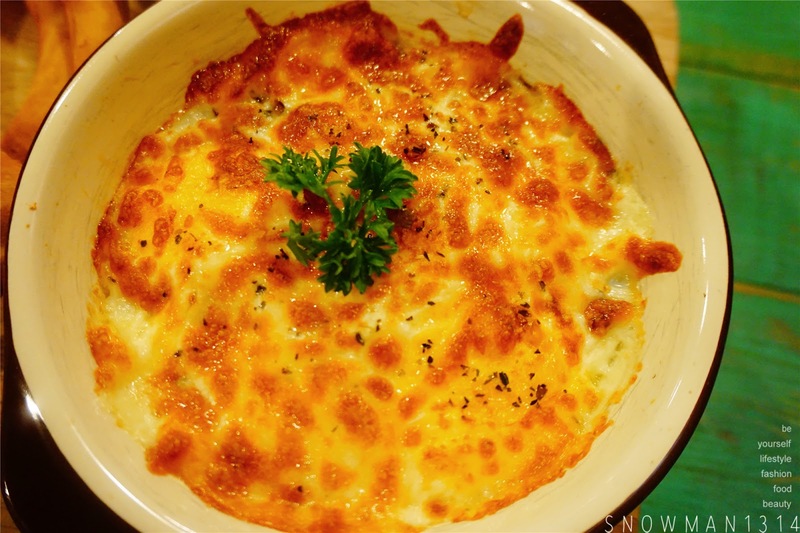 Since mushroom is my favorite dish, together with tomatoes and mozzarella cheese it was actually perfect. Taste with rich mozzarella cheese and juicy mushroom. This time we choose 3 different flavor that was quite unique. Read through to see how was the taste like. 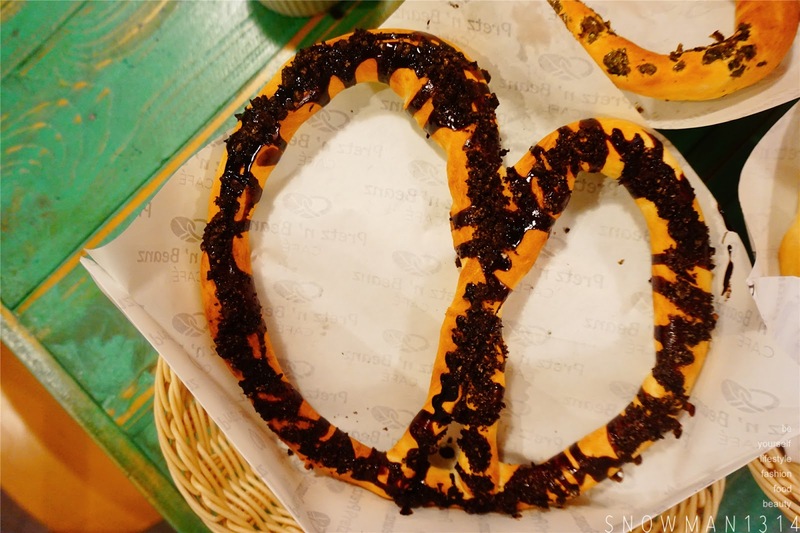 Best for chocolate and pretzel lover! Since the topping was cookie crunch, the crunches actually easily fall off when you bite on it. So make sure you have enough bites and it actually tasted not too sweet as well. 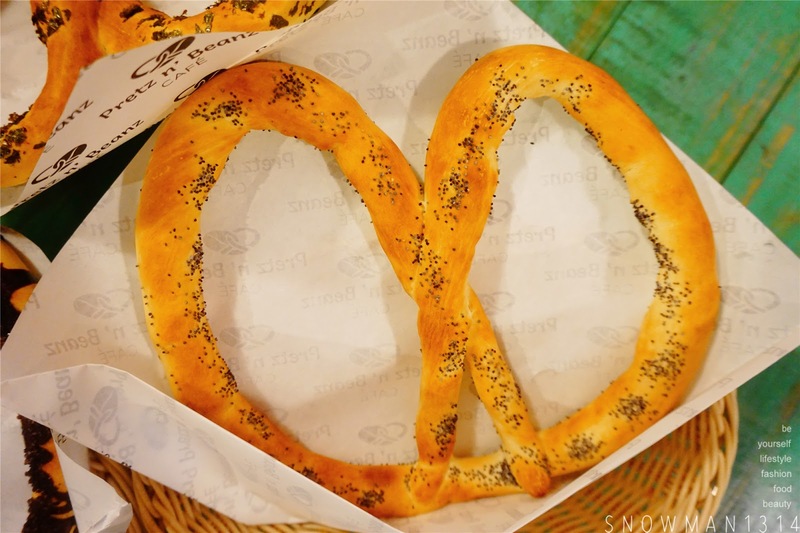 I find this really interesting to try, the seed on the pretzel is so cute right! Super tiny and across the pretzel, Poppy Seed is really common for pastry, like breads, bagel and rolls. So why not Pretzel as well? 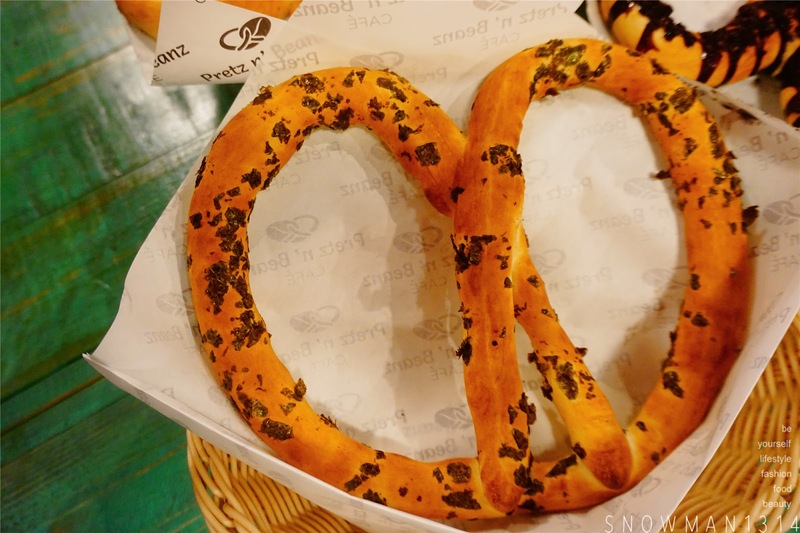 Poppy Seed taste slight sweet and able to give a lift of the taste with Pretzel. 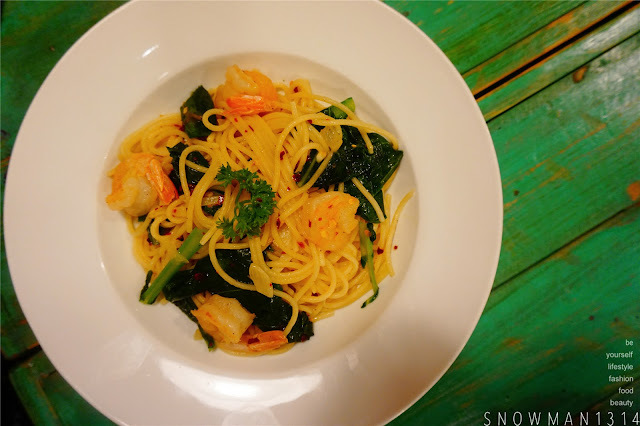 Since I like Korean and Japanese cuisine, seaweed is quite common in their dish as well. I wanted to try how it goes with Pretzel. To my surprise, it give some crunchy bites together with the Pretzel. So yeah if you are looking some crunchy bites and unique taste combination of Pretzel, Seaweed is not that bad huh! They have a new dipping sauce for Pretzel as well. 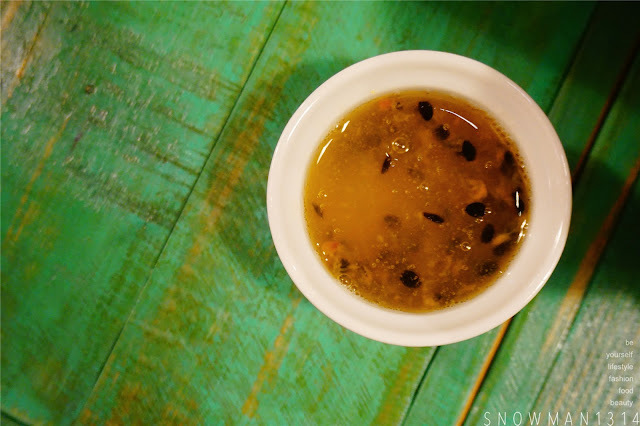 It was Passion Fruit sauce which I totally love it so much. 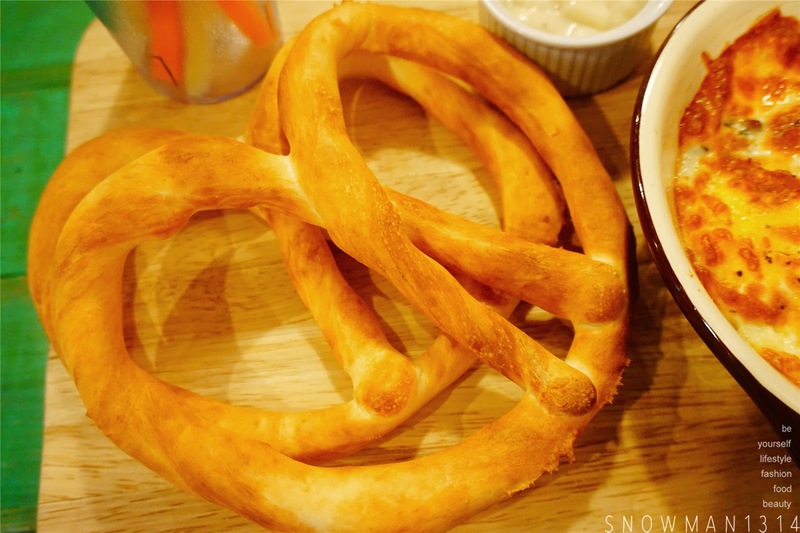 It was sour and sweet in the same time, and was able to give a really fresh and unique flavor when I dip together with Pretzel. 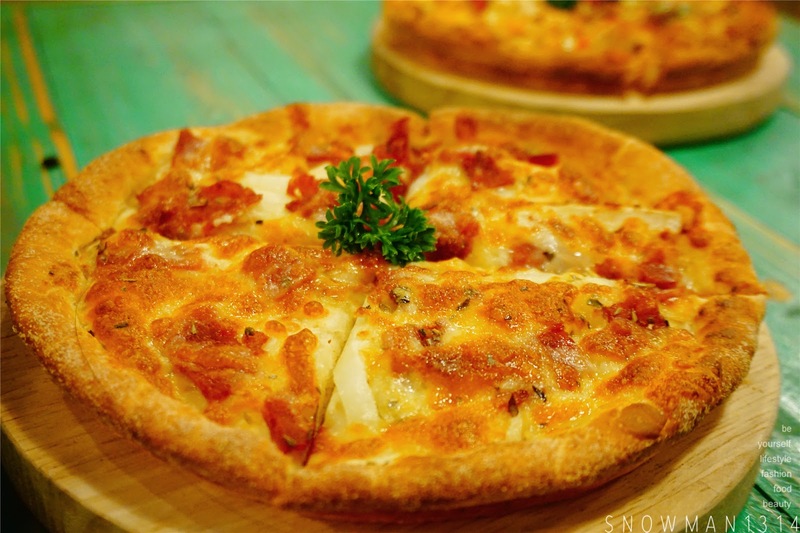 Flammkuchen RM 18 7" | RM 26.50 10"
Pretzel Dough top with sour cream, yellow onion slices, beef brisket and mozzarella cheese. 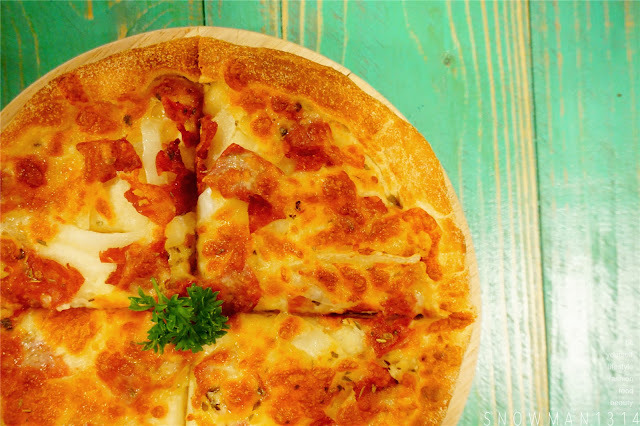 They use the Pretz dough for their pizza crust. Which was quite soft and chewy to noms when you eat their pizza. 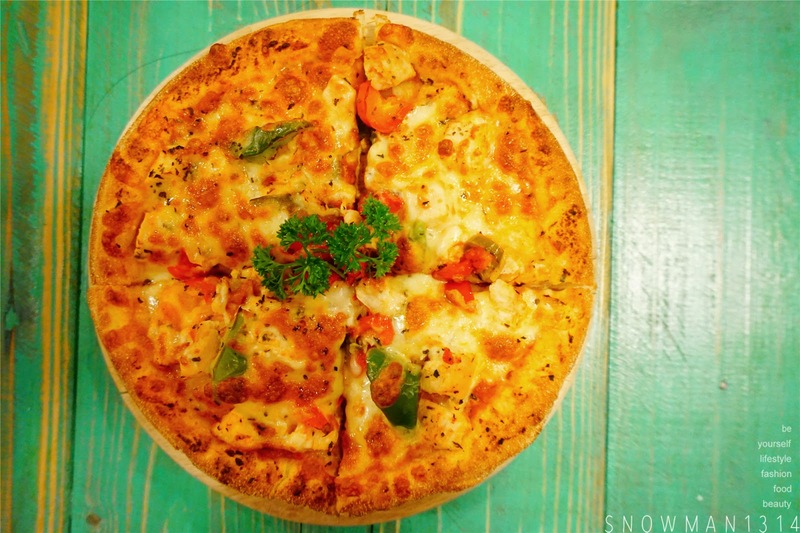 Hot Pepper Chili Chicken Pizza RM 17 7" | RM 24.50 10"
As you can see they have hot pepper and chili as the topping for this Pizza. Both of the Pizza we order was actually suppose to be spicy and fire up our taste bud. But too bad it doesn't really give that strong flavor of it after we eat. We order this spaghettie for our last dish. To give us a filling stomach we decide to go for slight heavy dish. It was cook just alright, rather spicy but appetizing. 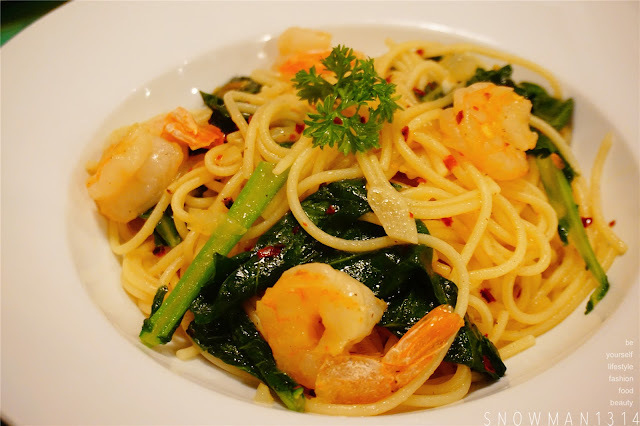 Importantly the shrimp they serve with is really chewy and fresh! 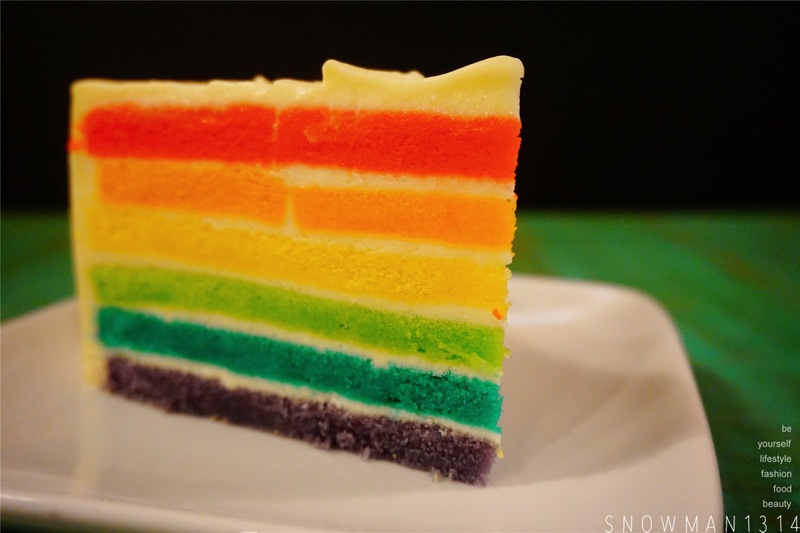 I actually has Rainbow Cake for my birthday last few years. 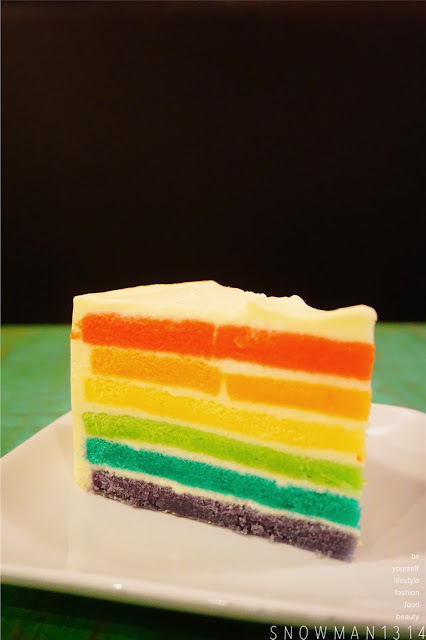 We always order just for its colorful rainbow sponge cake. You will feel happy when you saw all these beautiful rainbow color. Ordered this because curious how sesame taste like with cake. 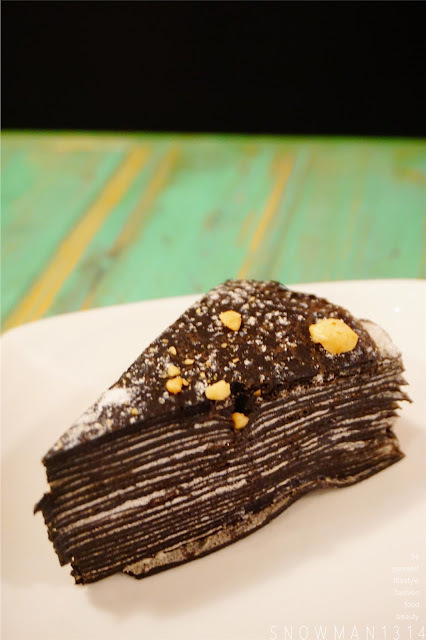 Love the texture of crepe cake. 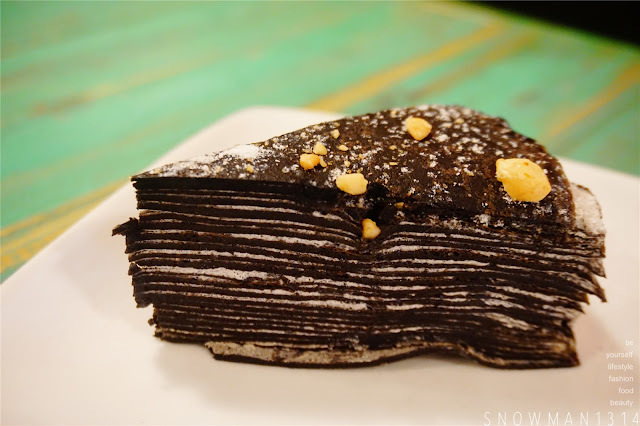 Every layer is full with dark sesame filling, it was slight dry at first but overall taste was all good. Sun - Thurs : 7.30am – 12am. Yes they have many branch too! Yes haha XD Me too! 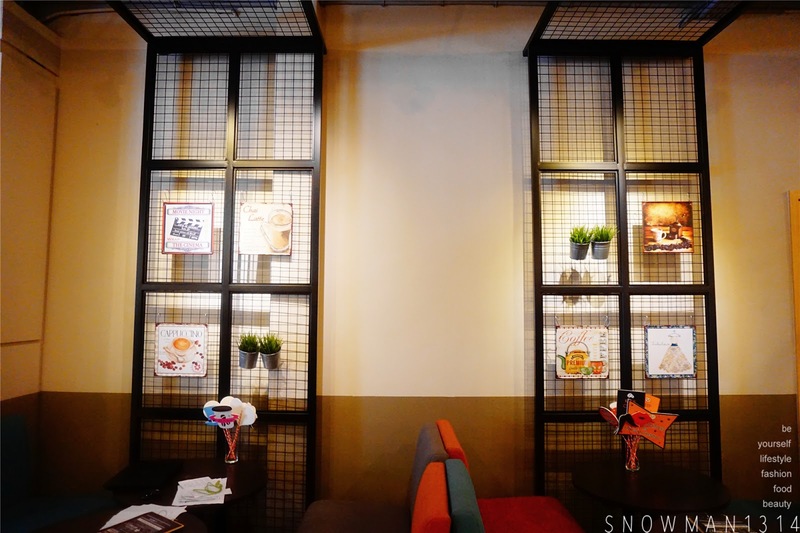 I like to visit Bangsar :-D Now, I have a new place to check out. The pretzels look delicious and the drinks too. Prices look reasonable as well. 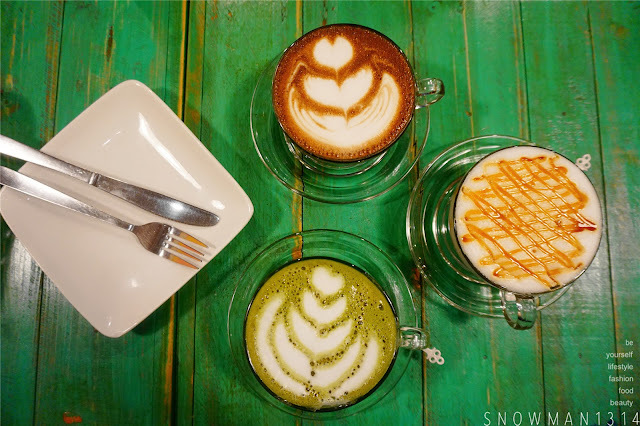 Shall pop by this interesting cafe when I am in KL next. Thank you for sharing. 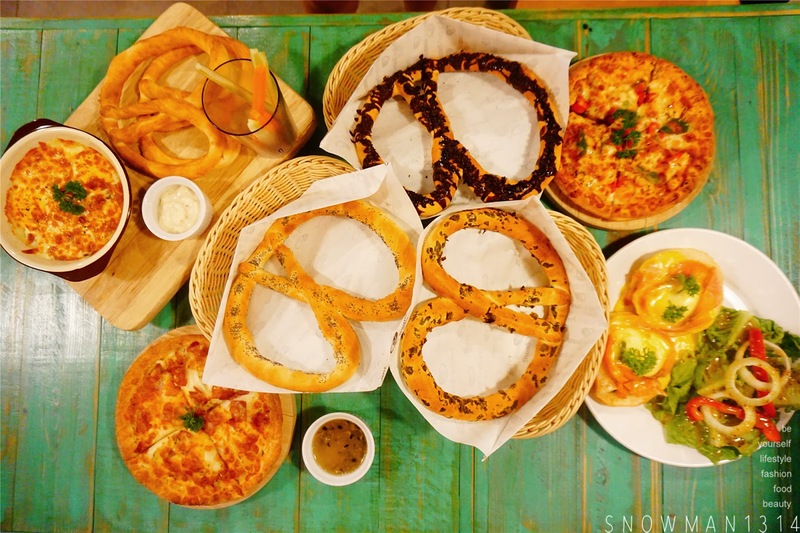 Yes I love they have really affordable price food but yet it can be really delicious too! Went there to celebrate my friend's bday! Love the foods there! Yes super nice environment right! Happy that it cheers you up =D Have a nice day ahead ya! wow ! 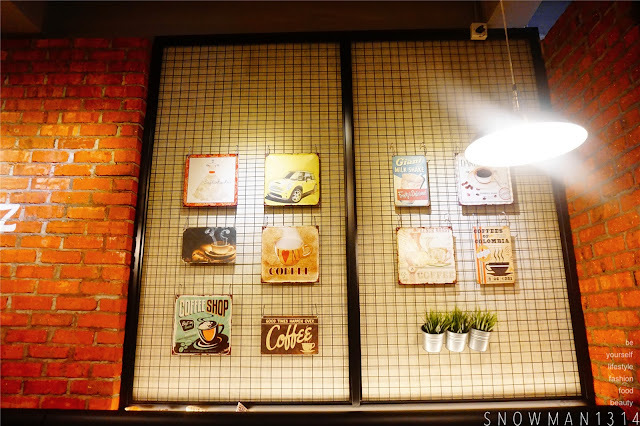 The food looks so yummy ~ It just near my house ^^ I wanna try the sesame crepe one day ! You live near bangsar? Looks nice right! 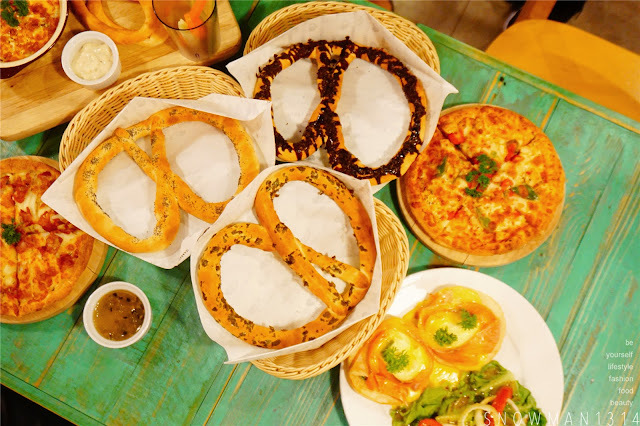 pretz and beanz.. i am a big advocate of their pretzel pizza. superb ! Yes! Too bad flavor is not as strong as I think! I loved the food photos. The rainbow and other cakes look droolworthy. 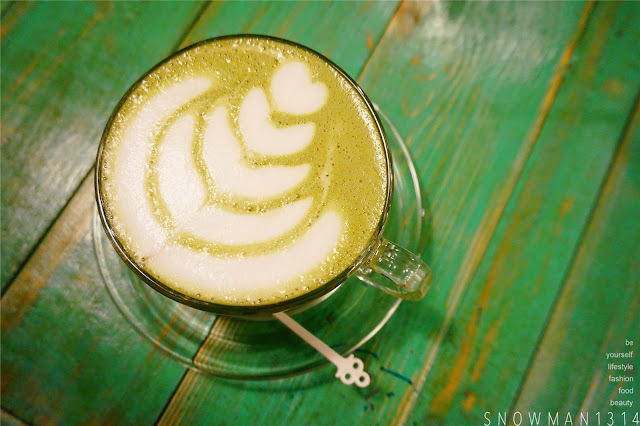 Their Green Matcha Latte is always my favorite! Bring your friend along ya! Bangsar, my favourite lepak spot. It is a food haven and for those who are into food review, it is a nice place to explore. 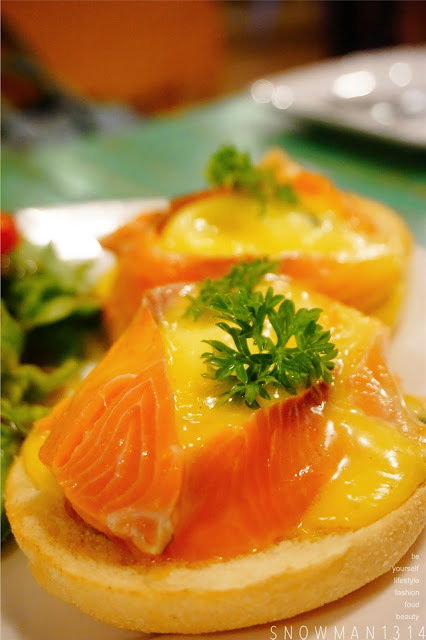 I've never been to Pretz n' Beanz in Bangsar but will definitely give it a try one of these days. BTW, the address is not Jalan Tewali 2 but Jalan Telawi 2. 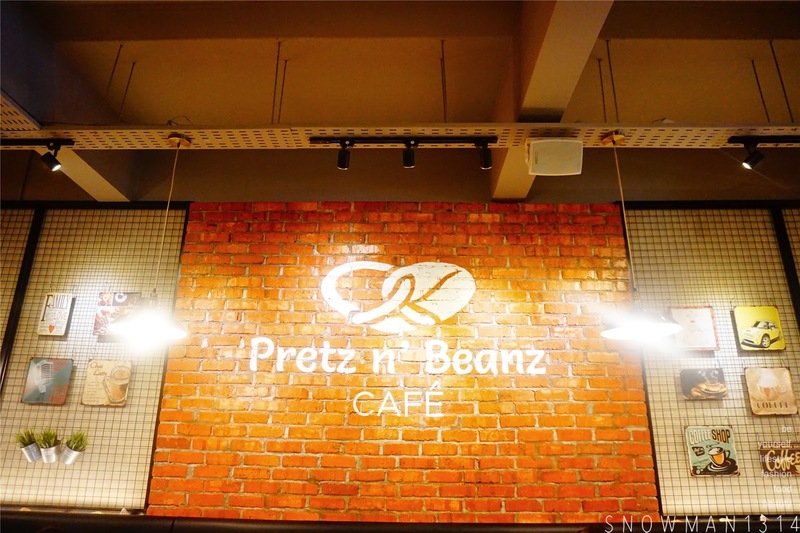 Really need to visit Pretz N Beanz at least once in my life as I do read a lot of reviews about them. I must at least visit at least once in my lifetime. they are expanding quite fast lately! so many branches around kl and selangor! Yes I know right! What important is they serve yummy food!